Happy Fall days great foodie friends. And all of my expectations were filled and much more. 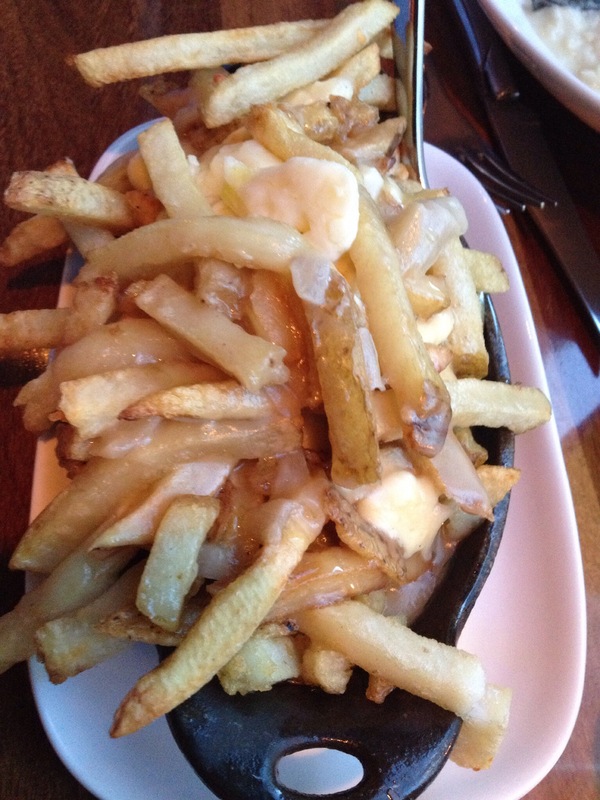 Located in downtown Calgary you will find a wonderfully welcoming restaurant from the minute you enter you will know that you have come to an eatery that focuses on all of the senses. Welcome to the world of Chef Connie DeSousa, Chef John Jackson, Carrie Jackson & Jean Francois Beeroo, a world of talent and experience. 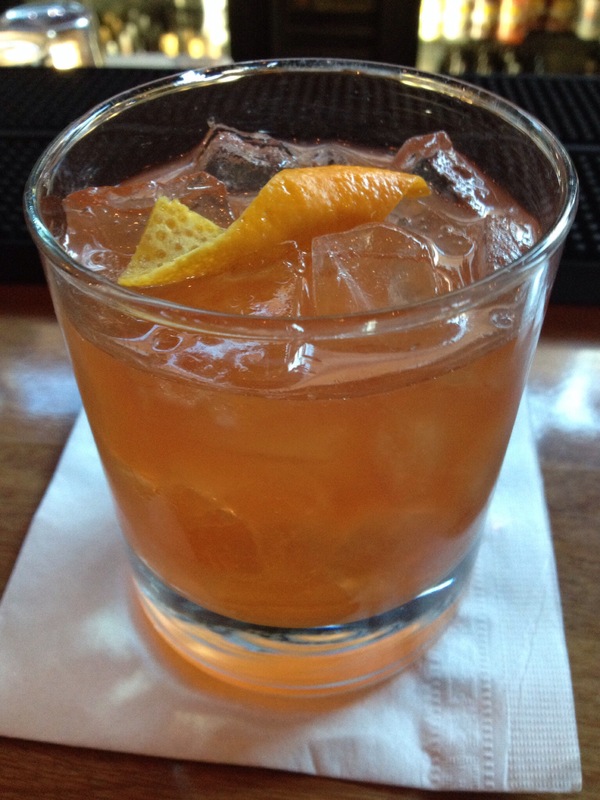 Our night started out with a sit up at the welcoming bar and browsing the “Speakeasy” / handcrafted artisan cocktails made the way drinks should be crafted. 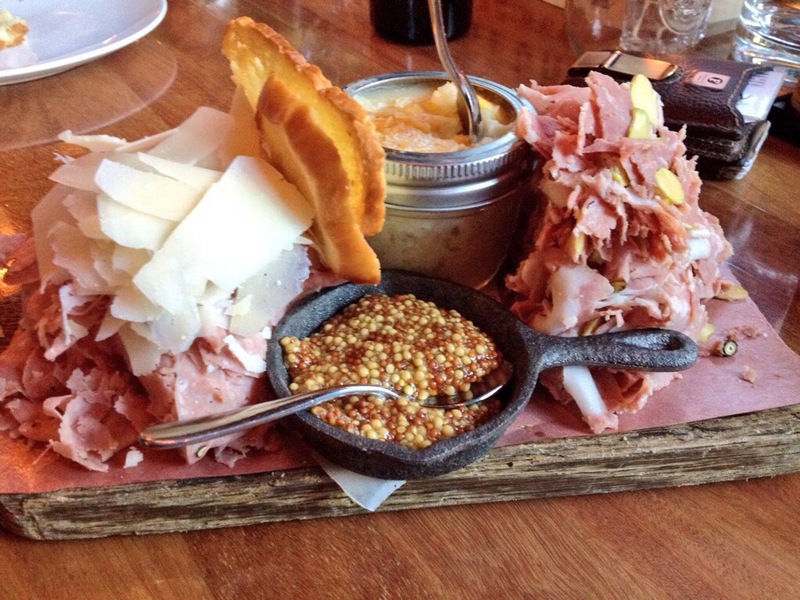 Served with our tasty sips was the must have Charcuterie board- (we had the 1/2 portion). 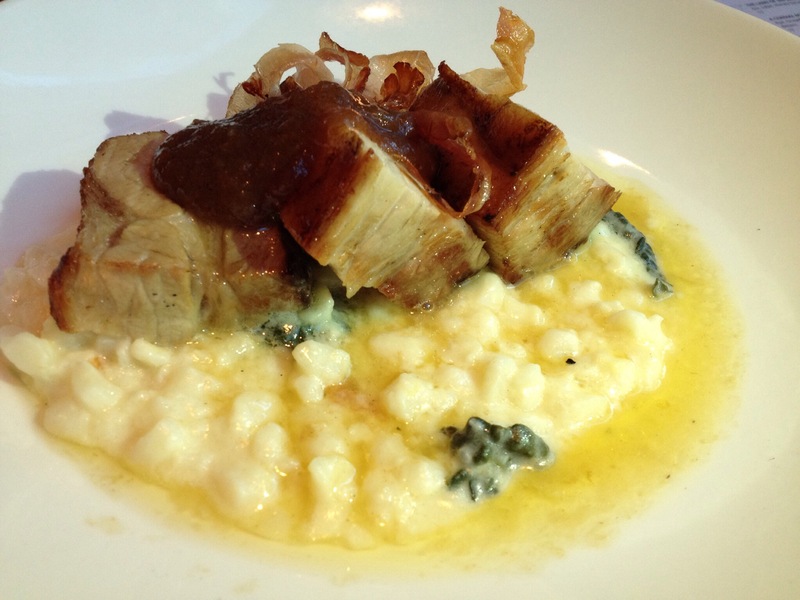 It was served with house-made pig head mortadella – hand mixed pork studded with pistachios and truffle, shaved country style lamb ham with shaved parmigiana cheese, rabbit, brassica grainy mustard and crostini. 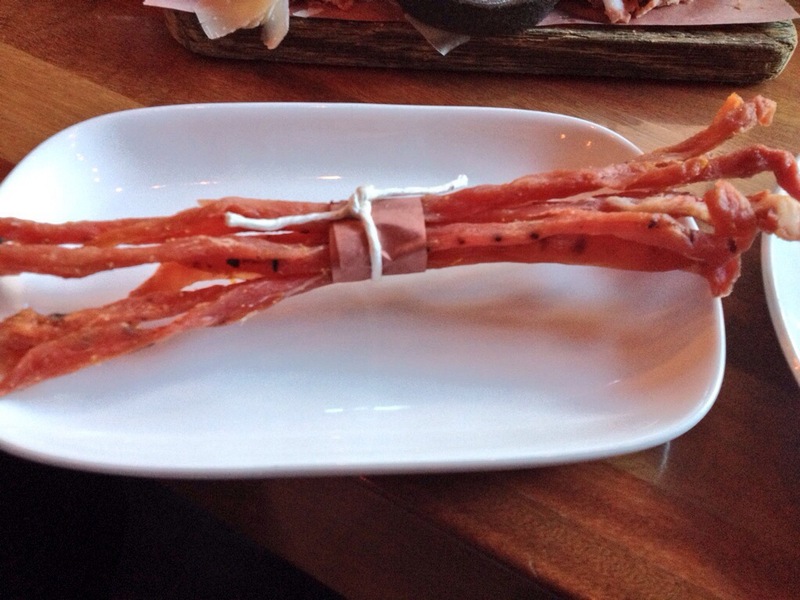 Upon a great recommendation from a well known Alberta foodwriter/ blogger (Gabriel) we tried the house-made Lonzino which is a well known Italian style bar snack (a jerky style treat) strips of pork loin made with fennel pollen, orange and black pepper. We were shown to our table and now the real deal begins. 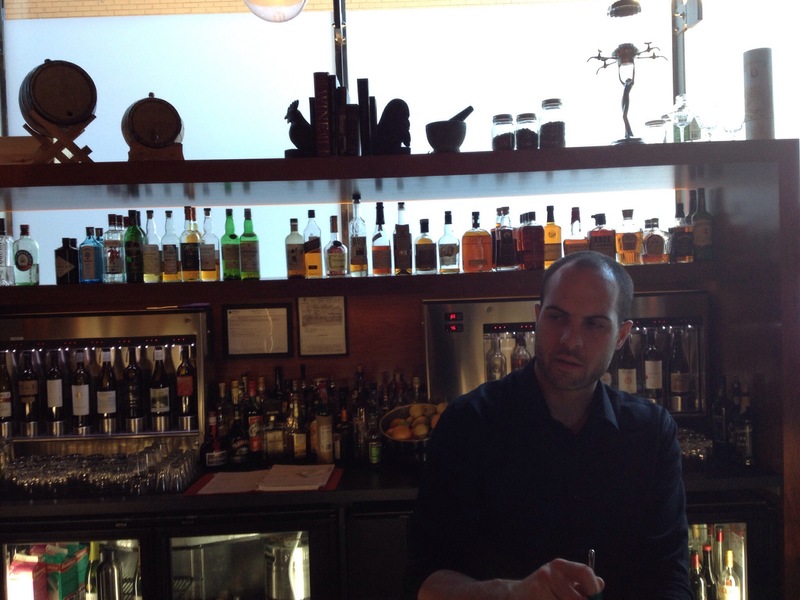 Charcut service was second to none at this point as we were truly made to feel welcomed as if in someone’s home and being treated to all of the comforts afforded. 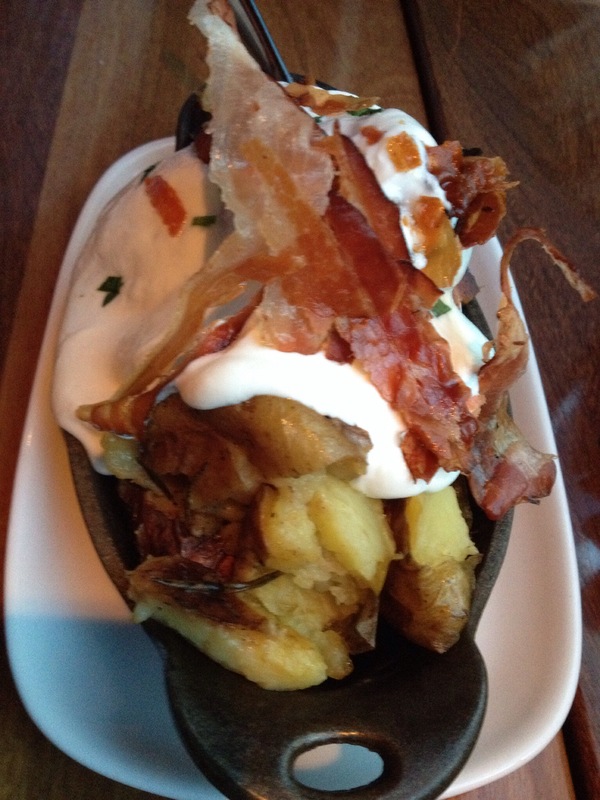 Next was Charcuts “Smashed” potatoes – popular Bluff potatoes with sour cream, rosemary & house smoked bacon. Okay- before I name this next dish I have to tell you that I have never liked, in fact have always hated and vowed to never be near again vegetable. Any guess ? Now I can’t even begin to explain how I was so against ordering these but at the prompting of our great waitress, I conceded and happily to my delight I was overwhelmed with wow flavor and texture. 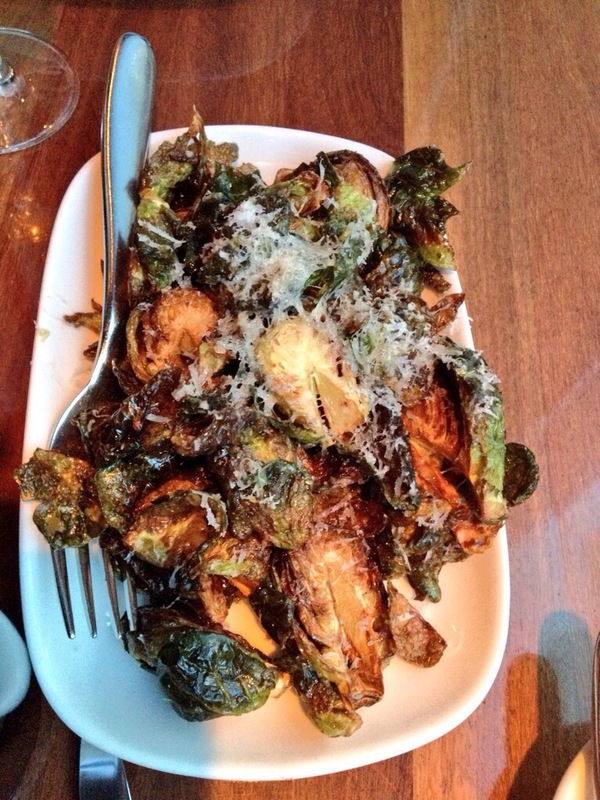 If you hate Brussel sprouts and are to only try one more in your life, I have found the answer at Charcut! The last table side we had was a refreshing dish that was just perfect to clean the palate – Watermelon & Cucumber salad with citrus marinated feta cheese and fresh mint. Thank you Jean Francois for recommending this great flavor cleanser. What is a perfect meal if not finished with a sweet treat?! 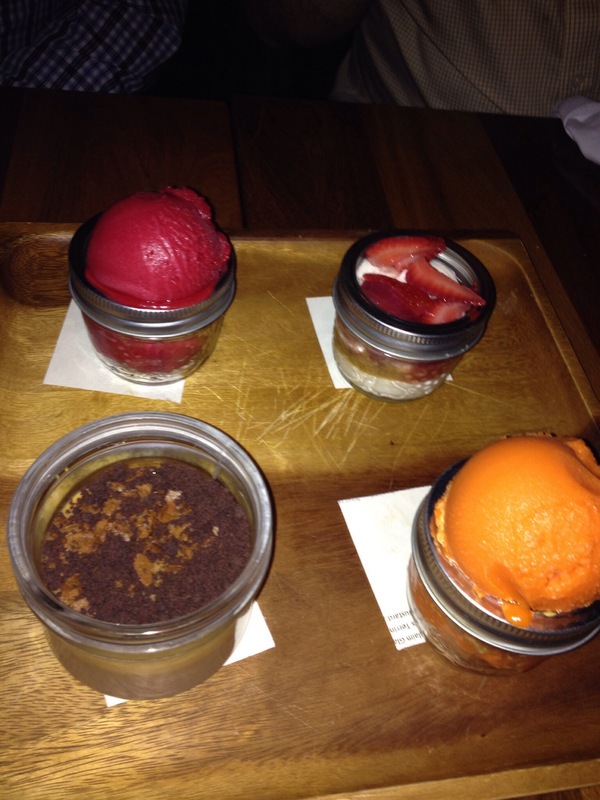 Dessert was served in mason jars just the perfect size for sharing. Strawberry vanilla beam cheesecake mouse layered with toasted graham crumbs. Raspberry rosemary gelato (I believe) and last but not least Carrot ginger gelato. A perfect end to a great meal. 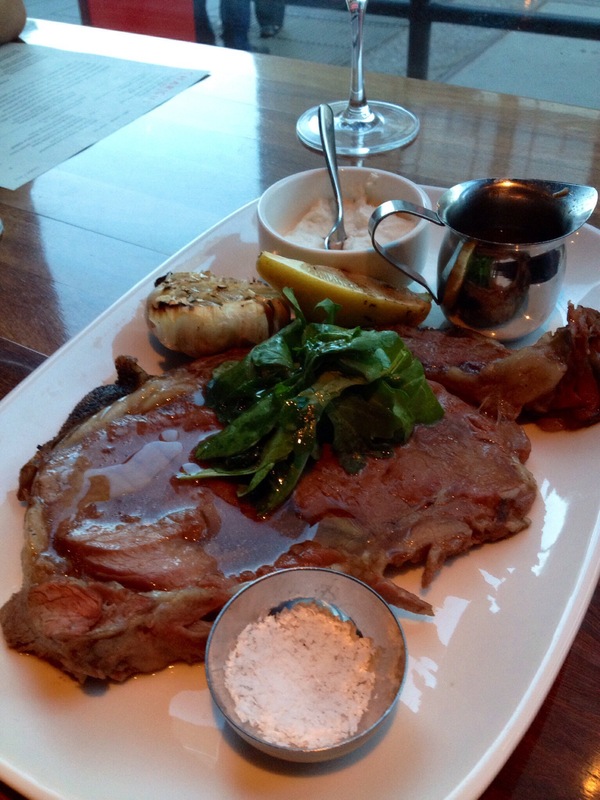 I recommend that you try Charcut and be forewarned that it will not be your last visit. We had a wonderful experience that was not by any mistake or great luck but defiantly a restaurant that has set standards and quality desires to drive everyone in one solid direction to succeed. The more you learn about Charcut and their undying drive to connect to their community, their farmers and suppliers on all levels shows in everything that that do as a team. Posted on October 20, 2013, in Uncategorized. Bookmark the permalink. Leave a comment.